The EMMA™ Rail-mounted System is typically mounted on scissor lifts or boom lifts. 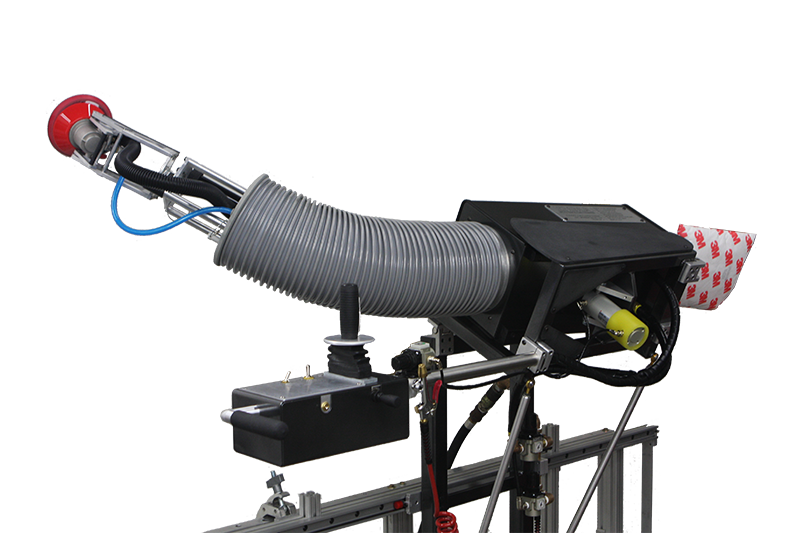 The EMMA Rail System slides horizontal along a track system and is controlled via the Joystick Box to sand vertical surfaces or overhead. 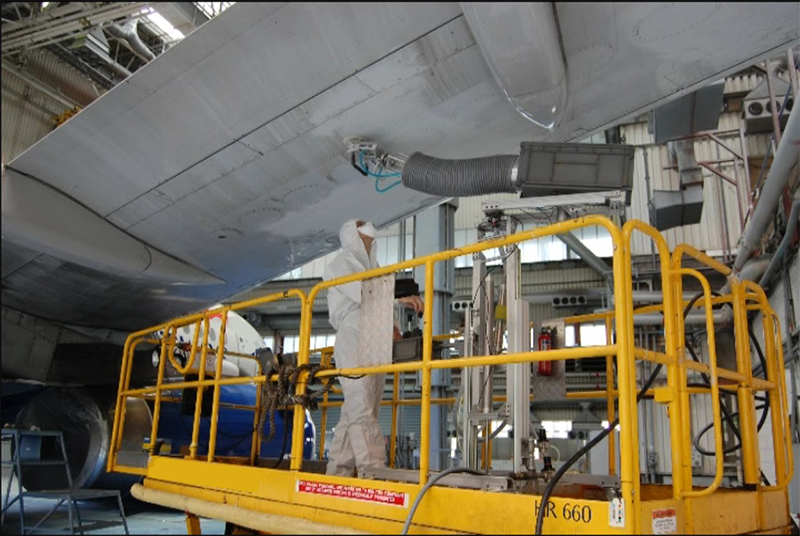 The EMMA Rail-mounted System is typically used to access the sides, tail, and underwings of medium or large aircraft. The range of motion is dependent on the lift to which the EMMA is mounted.